Bangkok, Thailand, March 18, 2019 – An FIVB Level II Coaches Course jointly organised by the Thailand Volleyball Association and the FIVB Development Centre Thailand came to a fruitful conclusion on Monday. 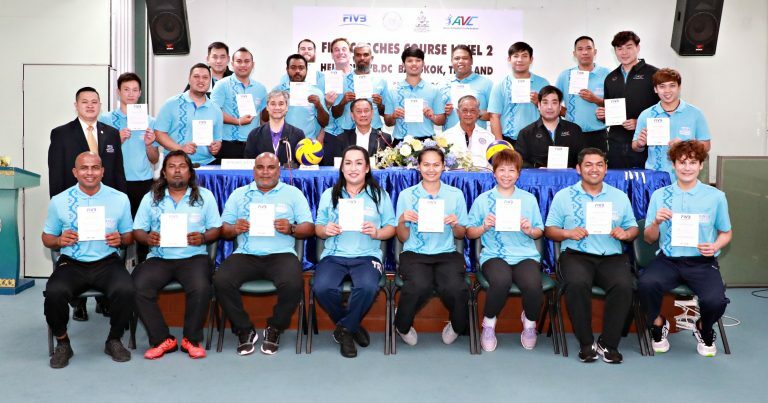 AVC General Secretary-General Mr Shanrit Wongprasert presided over the closing ceremony at the FIVB Development Centre Thailand, Ramkhamhaeng University Sports Office and presented the certificates to all 23 coaches from eight countries attending the five-day course conducted theoretically and practically by FIVB Course Instructor Mr Atsushi Katoh from Japan. 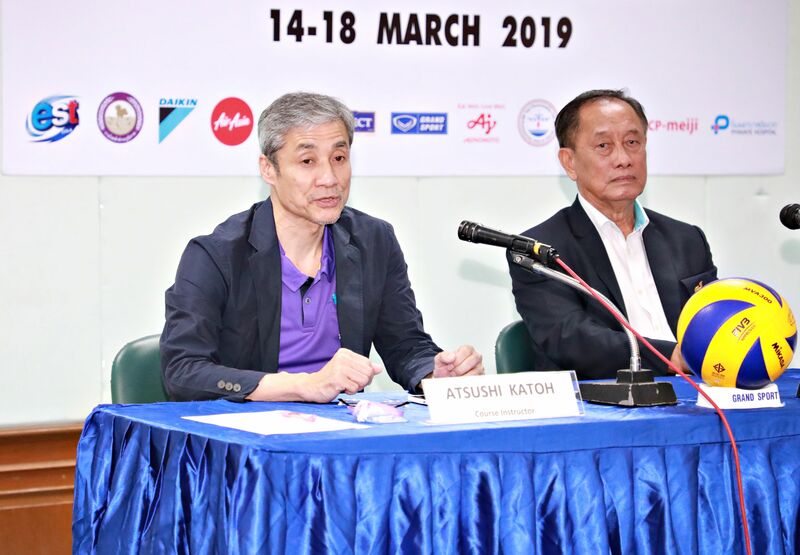 FIVB DC Thailand General Manager Mr Issara Riddhisinha was among guests of honour at the Monday’s closing. 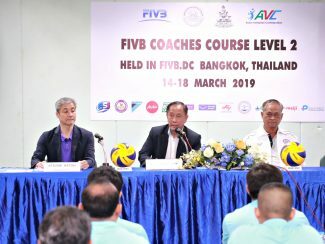 Aside from theory of training, improvement of skills and fitness, psychological aspects of coaching and advanced game tactics and exchange of ideas and experiences, the 23 coaches – eight from Thailand, five from Maldives, two from Australia, Malaysia, the Philippines and Singapore and one each from Japan and Hong Kong China, had a chance to watch the Final Four matches of the Thailand League Volleyball Tournament at the MCC Hall, The Mall Bangkapi between March 16 and 17 and study how the E-Scoresheet had worked. 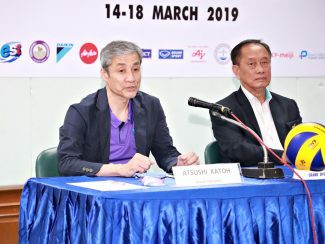 The AVC set up an E-Scoresheet software to help users automatically enter the information into the volleyball match scoresheet. Mr Shanrit was satisfied with the participants’ determined efforts and their achievements in the course. “I would like to express my sincere congratulations on your success. Actually, I would rather say that to receive certificates does not really mean you are successful, but to connect the classroom to the real world is your success. After this, I hope that you can apply the knowledge you have obtained from the class here to real-life situations. I wish you all a pleasant trip back home,” said Mr Shanrit in his closing speech.